After announcing a price drop for the Playstation Vita in North America, one of Sony’s next announcements was the reveal of Murasaki Baby. Pegged as a Playstation Vita title, it looks to be a wonderful little game that tasks you with taking a character throughout a nightmare world. 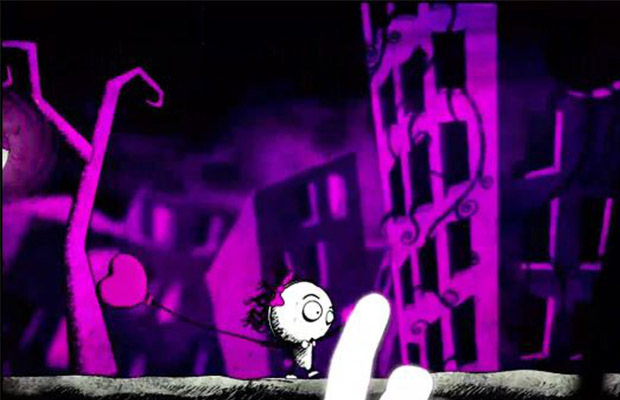 The gameplay makes use of the touchscreen controls to carefully guide the character through various dangers, and assist in tasks that keep it happy as well. A monster was shown scaring the main character, and grabbing the balloon before it went off screen helped keep peace. It’s an interesting title that looks to make great use of the Playstation Vita’s unique controls. What do you think about Murasaki Baby? Be sure to let us know what you think by leaving us a comment below, or continue the discussion on Facebook and Twitter.